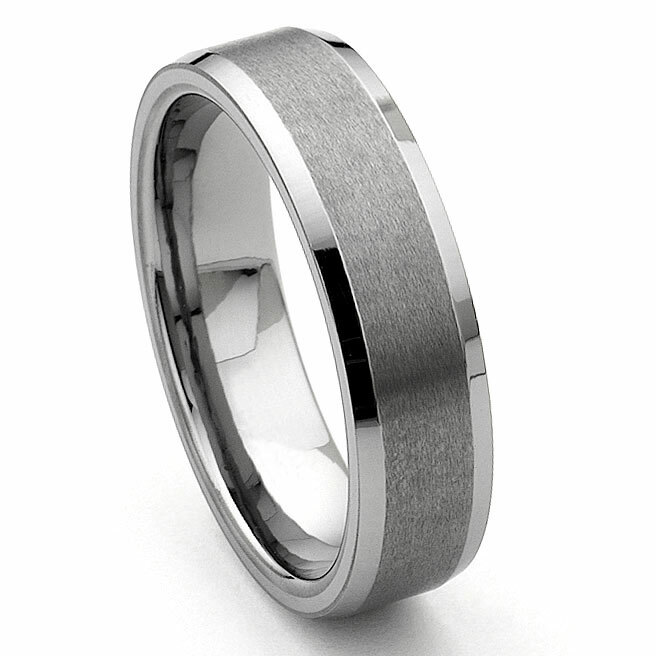 A beveled tungsten wedding ring with the center part satin finished. This wedding is the best to represent your love as it will stay the same permanently since it will never scratch or tarnish. Furthermore, it is hypoallergenic even for the most sensitve skin types. Click here for a matching 3MM, 4MM, 5MM or 8mm band. This ring is also available in white tungsten and cobalt chrome. The customer service Titanium Kay provides is better than any online company I've ever dealt with! The ring itself is even nicer than the picture! I would for sure buy from them again! Tkay was very easy to work with, product came quickly and as described. Returned one product for a different size without issue. Highly recommend. Ring is great! Nicer than the online pics and perfect fit! I bought this ring for my husband's wedding ring. It is of great quality and he was extremely happy withit. Everything was as promised. It arrived quickly and looks even better than the picture.